SS-T12A iPhone Heating Station is 185 degrees accurate Rapid Separation Disassembly Platform. 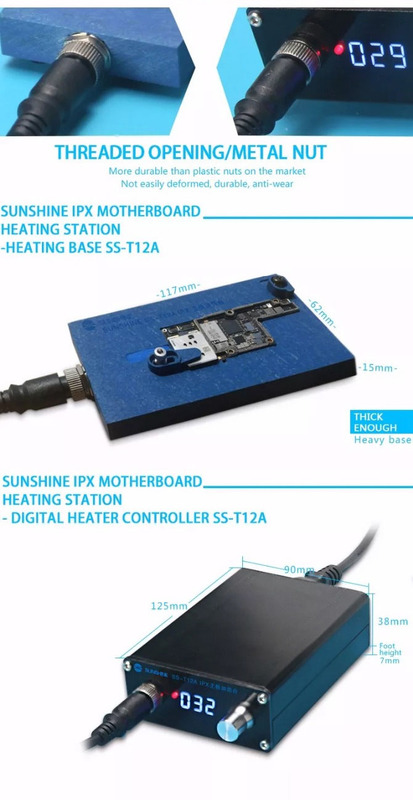 For iphone X Stratified 185-degree heating table no damage the motherboard. 185-degree layering process, fast, precise, without damage to the motherboard is now purchased with a bottle of IPhone X middle tin paste. 1. 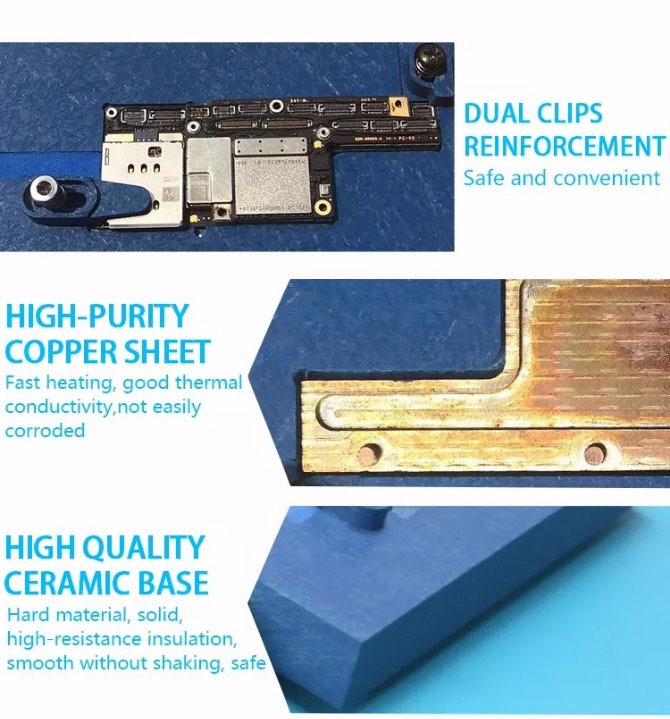 Remove the IPhone X motherboard layered, we use 185-degree layered process, not only From our fine analysis of IPhone X solder paste, but also depends on the special heating design and precise temperature control of SS-T12A. 2. 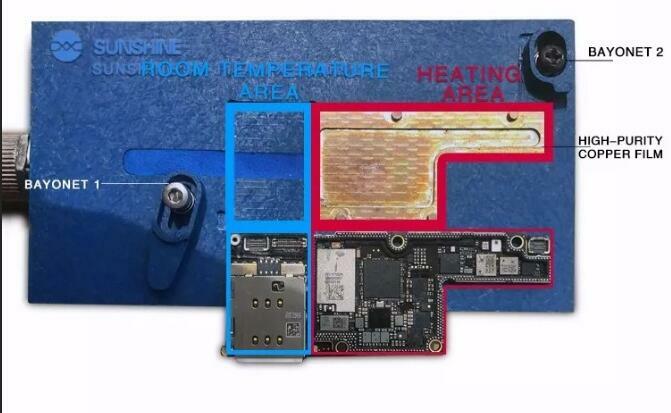 Only heating the area that the IPhone X board needs to be removed to prevent improper heating. 3. Dual bayonet design,make sure the IPhone X motherboard is stable on the stage. 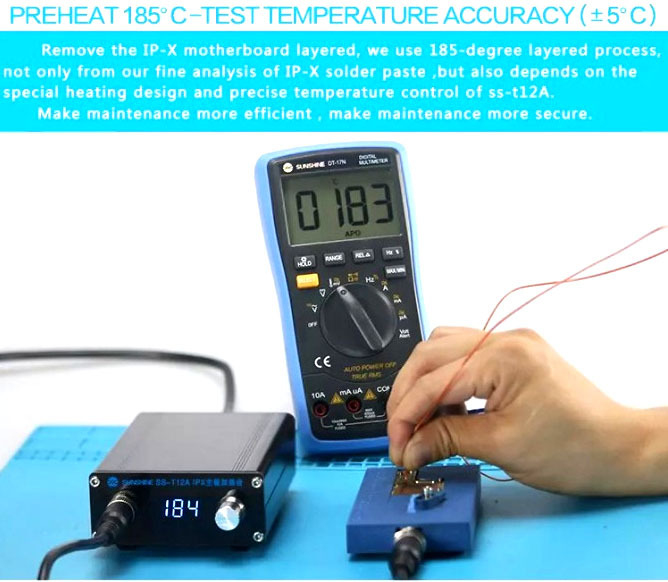 Remove the IP-X motherboard layered, we use 185-degree layered process, not only from our fine analysis of IP-X solder paste, but also depends on the special heating design and precise temperature control of SS-T12A. Make Maintenance more efficient, make maintenance more secure.